Considering Slushies for your Business? Why Sell Slushies in your Business? #1 ATTRACT New Customers! Shoppers who are Slushie drinkers will seek out Slushies .. they will go past other shops selling stuff they want – and stop at one that also sells slushies! Case File: a bakery near a bus stop – but not as close as a competitor, attracted a healthy flow of new customers to their shop by offering (and advertising) their Slushies from their new machine! #2 BUZZ! Slushies add Sparkle and Excitement! A well maintained and presented Slushie stand will really create a stir amongst your local shoppers. Case File: A garage bought a complete set-up, including a stand and cup dispensers and allowed their customers to serve themselves – with great results. Soon customers were coming to their garage to get Slushies (and then buying petrol, just because they were there!). #3 PROFIT! Slushies have a very healthy mark-up. Case File: A Medium (300 mls) serve, including cup, spoon straw and lid, should cost you about 60 cents – you sell for $3 to $3.50. WOW! #4 GROWING Market! Slushie Sales shot up over the last 14 years and continue to rise steadily, despite the anti sugar lobby. Case File: When we started in 2003, most people didn’t even know what a Slushie was – even if you called it an Icee or a Slurpee or a Slush Puppie! And those who did buy them were mostly under the age of 10. Now, it’s not uncommon to see a 40 year old slurping a slushie .. and almost everyone knows what they are. Not only that, Slushie Machines are now selling Frozen Coffees, Frappes and Healthy Choice Fruit Juices .. with more choices on the way! #1 BUY THE BEST Slushie Machine you can afford. A good machine can give you 15+ years service at least, if properly maintained. #2 EASY TO CLEAN! 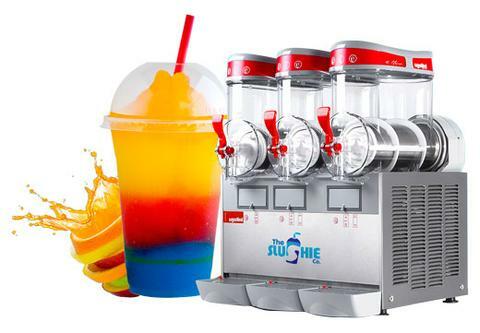 Get a Slushie Machine that is easy to clean and to operate. You want to be able to trust your staff to be able to run it, right? 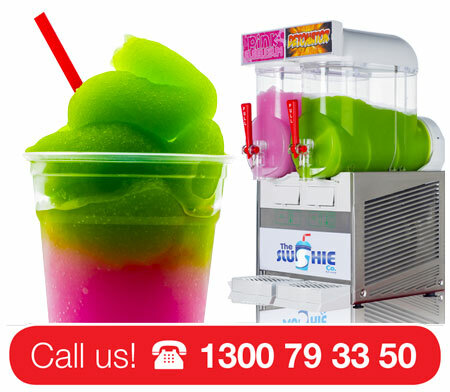 #3 LOW MAINTENANCE – Buy a Slushie Machine with low long term mechanical maintenance costs!! Really study this .. ask about the annual maintenance requirement .. look hard at what this really means! #4 CHOOSE A GOOD SUPPLIER – who will back you up … preferably who has been around for more than a few years and has a proven track record! #1 BEST YOU CAN BUY! – stock great slushie mixes from a reputable supplier. You want provenly successful flavour profiles for all your flavours. #2 MIX WELL – always mix according to the maker’s instructions. Do NOT ‘water-down’ – you will lose customers and threaten the mechanics of your machine. #3 CHANGE – change a flavour every so often and PROMOTE it. Listen to your customers’ responses – should you return to the original choices? Or keep the new flavour? Slushies are a HAPPY THING! Have you ever seen an unhappy kid, slurping a Slushie?! Confucious says “Man who cannot smile mustn’t open shop! Make yourself HAPPY, contact us today! flexibility to pick and choose: we offer over 55 makes and models of new and used machines, over xxxx recipes, and the opportunity to rent or buy our machines.